Rock critics say: "It's a blues album but we love it!" 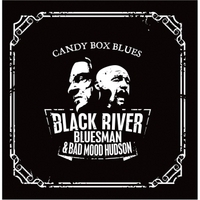 Blues critics say: "It's not a blues album but we love it"
Black River Bluesman & BAd Mood Hudson: "Going down with a Lowebow". Live at Klubiblues Festival, Tullikamarin Klubi, Tampere, Finland 2012.